One of the best ways to experience Cape Town is with a knowledgable local guide. There are many amazing, experienced guides in Cape Town. It can be hard to find a tour guide who will make your experience unforgettable and cater to your interests. If you’re after something a little different and totally memorable, here is a round up of our favourite uniquely Cape Town tours! Wine Flies Wine Tours have a number of truly unique Cape Town tours on offer in the city. Their Wine Lord Private Tours pair you up with an expert guide who can customise your itinerary. Your guide will take you to all the hidden gems and share his in depth knowledge with you. Private tours also include a pick up and drop off in a private air conditioned vehicle. 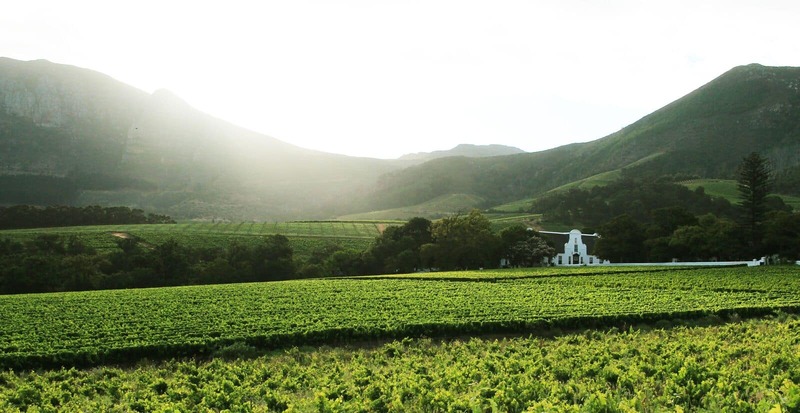 They also offered scheduled day tours of the Winelands, which take in the popular iconic estates as well as secret family-run boutique estates. If you’re feeling fancy, there’s also the Dragon Flies tour by helicopter. Gerald, or Pepe as he’s often called, is a warm, homely, and gentle man with a real knack for storytelling. He offers a 2.5 hour cheese-making tour, where you’ll find yourself surprisingly moved by his tales of growing up in rural France. 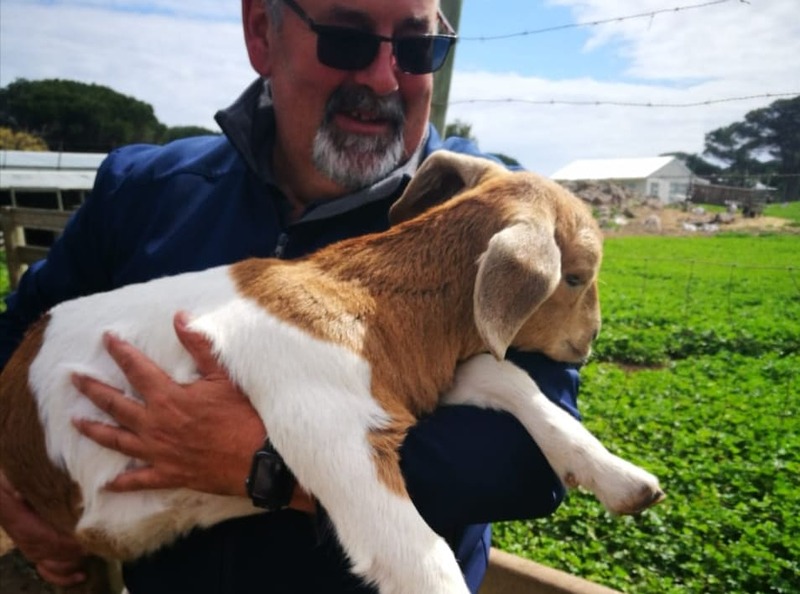 Meet the adorable goats, see the ethical milking process, and fall in love with Pepe Charlot cheese and its incredible story. The tour is available through Airbnb. Be sure to check out their other experiences while you’re there; they offer a whole bunch of fantastic, unique, locally run tours. ABCD Concepts is run by local Khayelitsha entrepreneurs Ayanda and Buntu. 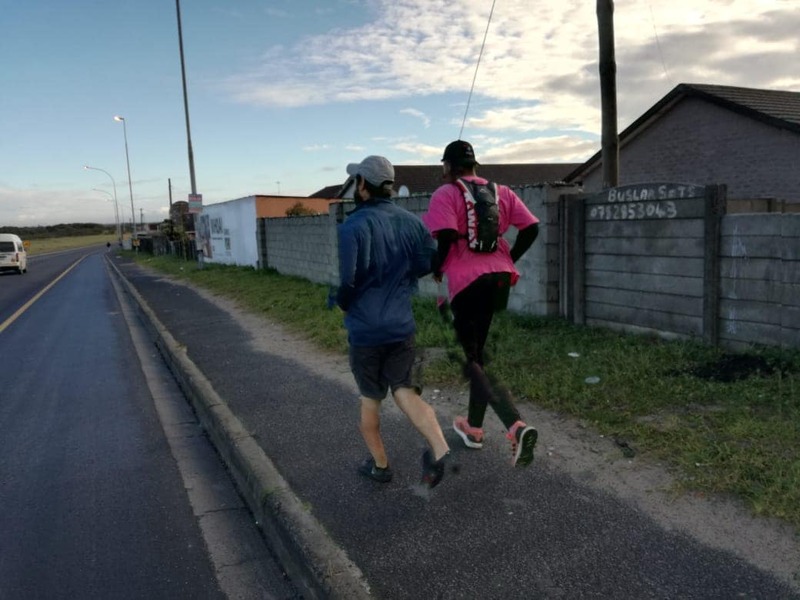 They offer a number of experiences, including a 9km morning running tour for those who like their sightseeing with a dash of fitness. They also do nightlife tours, where you join them for a night out kasi-style. 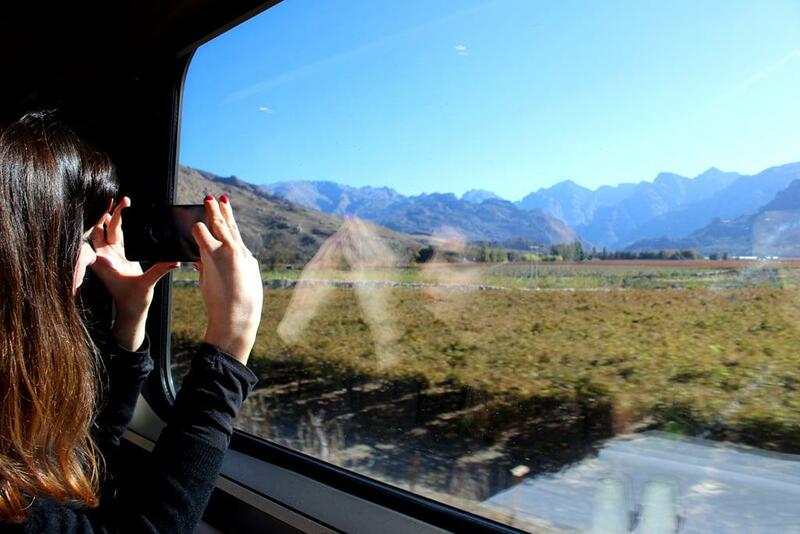 Discover Cape Town’s only township wine farm in Philippi on this incredible package tour taking in both Philippi and Khayelitsha. The tour includes a tour of the vineyard and a tasting of the wines made there. Afterwards, head to Khayelitsha for a five course meal paired with local wines. Enquire by email at graham@townshipwinery.com. The Story of The Township Winery from Township Winery on Vimeo. 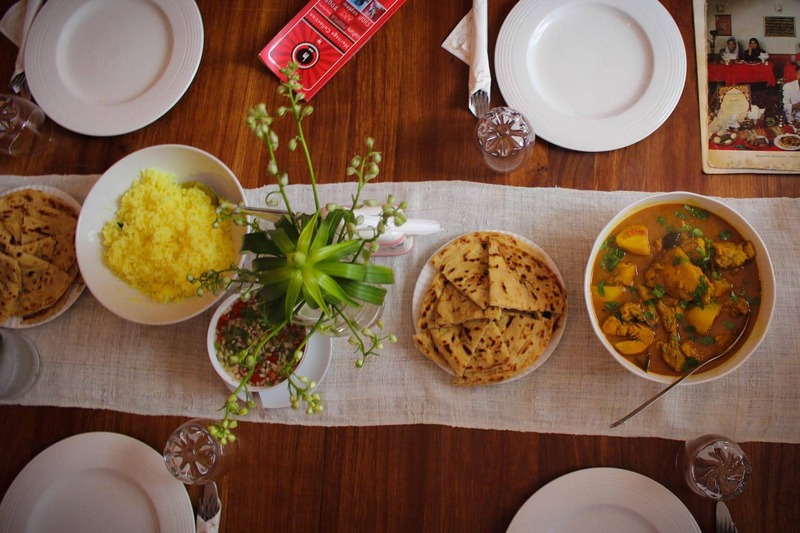 The Bo-Kaap Cooking Tour is a great way to really get to know this historic area. The tour starts at a local spice shop, where you’ll pick up supplies for the meal. Then, your host Zainie will take you on a short walk and explain the history of the area. From there, it’s back to her bright blue Bo-Kaap home to learn to make some traditional Cape Malay Cuisine. 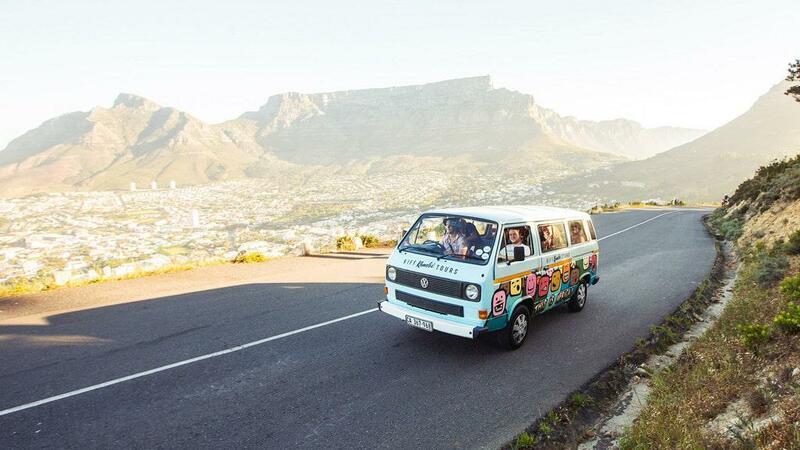 Kiff Kombi Tours is an urban safari where you’ll make new friends, listen to your favourite tunes, and enjoy some drinks (or many) while taking in everything Cape Town has to offer. They have many Cape Town tours on offer. The Urban Safari takes in top attractions, and includes a lunch, beer tastings, wine tastings, and a sundowner at a secret spot. The Road Trip is your chance to see the penguins at Boulders Beach as well as Cape Point. The Gin Jol includes three gin distillery visits/tours and tastings, as well as an end of tour drink at Cape Town’s legendary Secret Gin Bar. Check their website for their other offerings. Experience an audio tour like no other at Groot Constantia. There are three options, all of which are free to download. The tours are hosted on the VoiceMap app, which uses your GPS location to play the audio automatically. You can just press play, and the app will tell you where to go and play fascinating stories of the history, wines, and people that make Groot Constantia what it is. Take the City Sightseeing Bus to Imizamo Yethu in Hout Bay to enjoy this amazing tour with a local guide. You’ll walk through the maze of shacks and dusty streets, visiting pubs called ‘shebeens’, hair salons, markets and food stalls boasting traditional local delicacies such as sheep heads and chicken feet. Embrace the township lifestyle and meet locals who will share insight into their lives, and even invite you into their homes or to join an impromptu street game. 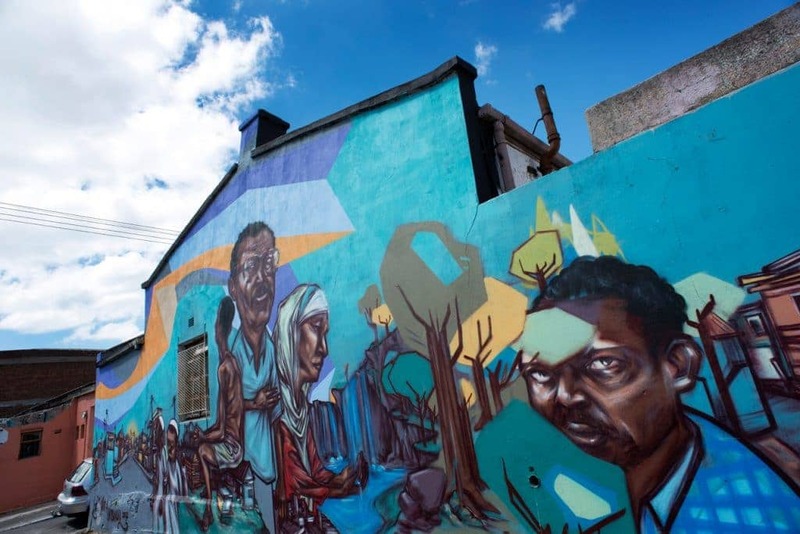 Get to grips with some of Cape Town’s best street art on this 90 minute walking tour in the eclectic suburb of Woodstock. Your guide will show you the many urban art murals and graffiti works on display, as well as installations, studio, and gallery exhibits. You’ll be surprised at the incredible artwork found on the streets, some of which are from well-known artists from across the globe. The tour also stops at trendy coffee shops, gift shops, a local beer brewery, and restaurants.